Please mention that you need the question paper of which subject. If you please specify it would be easy for us to assist you. here I am giving you process to get the question paper for the 10th class of Madhya Pradesh Board of Secondary education below . 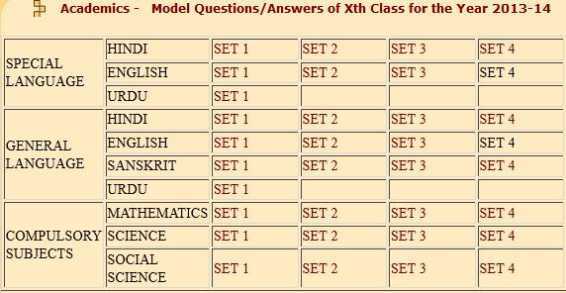 ====click on the Model Questions & Answers of Class Xth & XIIth for the year 2013-14 option so you will get the list of all papers . ====now click on your desired subject option and get the question paper in PDF format ..
for your help I am attaching PDF file with it in which you will get the question papers for 10th class ..